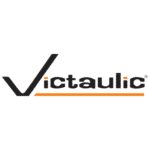 You wouldn’t think Victaulic would have much in common with NASA. We design and manufacture pipe joining and fire protection systems; they build spacecraft and explore the solar system, among other things. Our products are used in everything from oil wells to municipal water treatment plants to the world’s tallest skyscrapers. NASA’s products are used from Earth to Mars…and beyond. In actuality, we have a relationship that dates back more than 30 years. After the first space shuttle flight in 1981, NASA came to us with a problem: The blistering heat, created at liftoff, scorched the piping system designed to cool the space shuttle’s mobile launch pad. NASA needed a quick way to replace the pipes, and Victaulic grooved pipe couplings were the answer. Our relationship expanded in 2013 when we realized there’s something else the two of us have in common: dealing with vibration. NASA scientists know a thing or two about vibration. Not only do space capsules have to withstand the massive forces of launch and re-entry, the highly sensitive hardware inside them must come through in working order. To test its equipment’s ability to dampen and withstand vibration, NASA built a specialized Vibration & Acoustics Test Facility (VATF) at the Johnson Space Center in Houston, Texas. At Victaulic, we don’t have to deal with Solid Rocket Boosters or the blast of a sonic boom, but what better place to evaluate the vibration dampening and reduction capabilities of our flexible couplings than the same facility that tests spaceships? We know you understand the importance of accommodating vibration in mechanical systems: Pumps, chillers and other equipment generate vibration that can put stress on system components and connections. Vibration also creates noise that’s transmitted through piping systems, driving building owners and occupants mad. “This may all be true, but I’ve been using flex connectors for years. Why change?” We’ve heard that question once or twice. On one hand, the use of unrestrained rubber as a pressure boundary in a system that otherwise has continuous metallic encasement is less than ideal. More importantly, flex connectors are maintenance items that will require eventual replacement. Victaulic couplings offer continuous metallic encasement and are designed to last the life of the system—no maintenance necessary. Oh, and the most important part: Testing at NASA’s VATF proved that flexible Victaulic couplings offer better vibration attenuation than flex connectors. Built to simulate space flight and capable of generating up to 40,000 pounds of horizontal and vertical force, the shakers at NASA’s VATF lab are no slouch—but neither are Victaulic flexible couplings. We put the Style 77, Style 177, Style 177N and Style W77 to the test in configurations of one, two and three couplings in sizes ranging from 4 to 24” (100 to 600mm). For each size, tests were also done on pipe using double sphere rubber connectors and stainless steel braided pump connectors to compare the vibration dampening capabilities. Every assembly was filled with water and pressurized to 300 psi (20 bar), and vibration was measured at the source and after the couplings or connectors. The results? 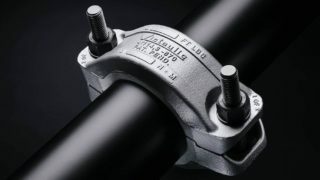 For every size tested, three Victaulic flexible couplings installed near the vibration source outperformed the flex connectors. You read that correctly: A method traditionally used to join pipe offers better vibration attenuation than the devices commonly specified to accommodate vibration. The figures below show the performance improvement in the test configurations of Victaulic couplings over the double sphere rubber connectors and stainless steel braided pump connectors. Note that these results are specific to Victaulic flexible couplings. 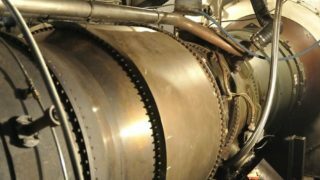 The chemical formulation and processing techniques used in Victaulic gaskets and the proprietary design of Victaulic couplings are the keys to their vibration dampening qualities. While most engineers will never have to design a piping system for use in zero-gravity or that can withstand being rocketed into space at 18,000 miles per hour, they will be challenged to mitigate the irritating and even harmful effects of noise and vibration—if not at the design stage, then at a much less opportune time down the road. The results of the testing at NASA’s Vibration & Acoustics Test Facility prove that Victaulic flexible couplings meet and exceed these challenges, while offering additional benefits that flexible connectors just can’t match. To learn more, review the full vibration test report.